...why are you still here!? Made in 48 hours for Ludum Dare 32. 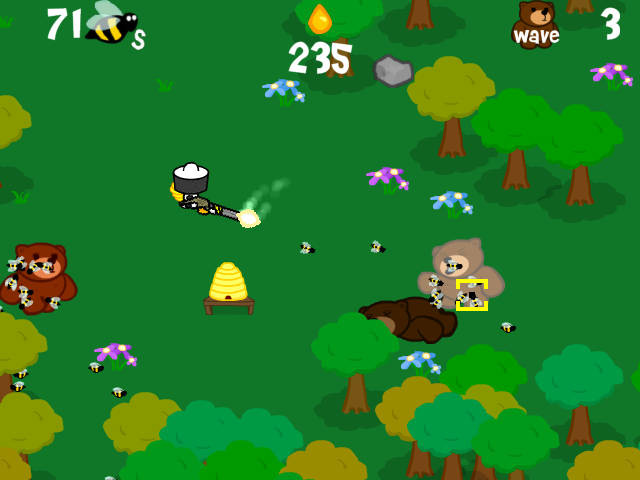 I came up with a bunch of serious ideas then asked myself why not just make a game where you have a gun that shoots bees. So uh. I did that. 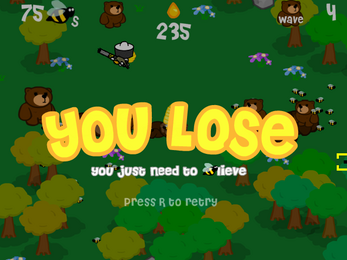 Very refreshing to make a really silly game for once that's not really trying to do anything clever and is just stupid and fun. There's a boss at Wave 20, after wave 20 the game gets exponentially harder with each passing wave until you're overwhelmed. 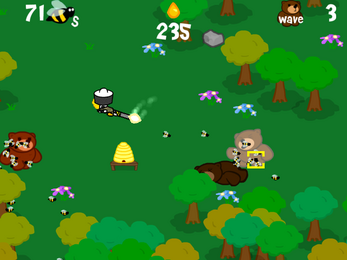 You can explore the map to find big sources of nectar but it's very risky, learn when the best times are to hunt for nectar! 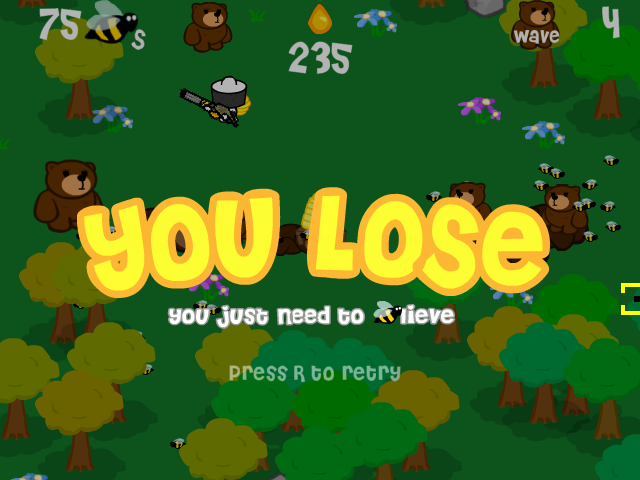 You can't shoot through flowers and bees get distracted by it which affects your aim, so collect them quickly whenever possible!